Today I have a review on some indie cream eyeshadows, Darling Girl's Wonder Wand Cream Eyeshadows in Dragon's Sickness and Honey Cake. It's been a long while since I've reviewed anything from indie cosmetics brands, especially since I used to blog about them a lot years ago. I'm a little out of the loop when it comes to indie cosmetics but I hope to get back into them and share some of the great handcrafted products from brands like Darling Girl. I'm a lover of cream eyeshadows so I figured these cream eyeshadows would be a good place for me to start. 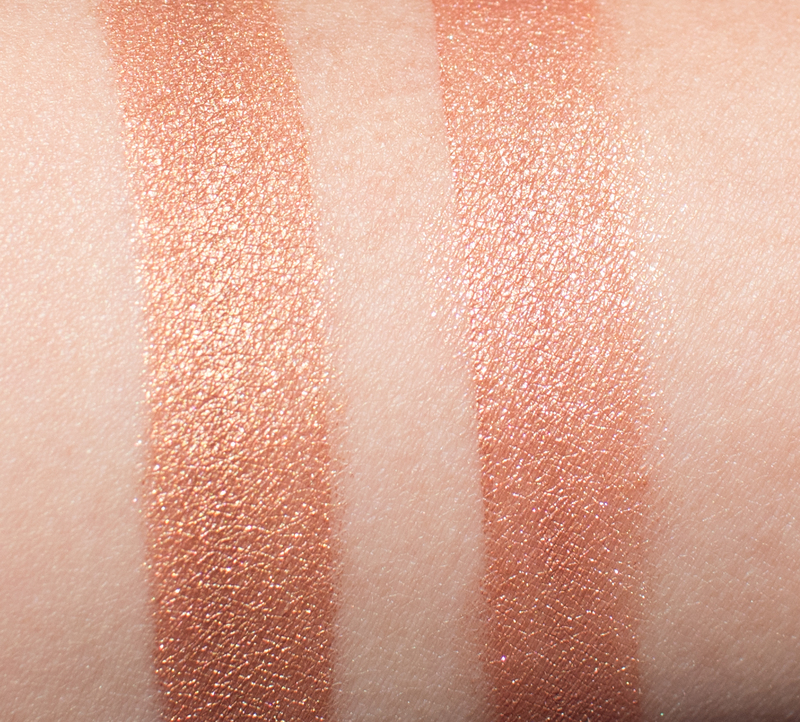 Click though to read my review, see swatches, and photos! 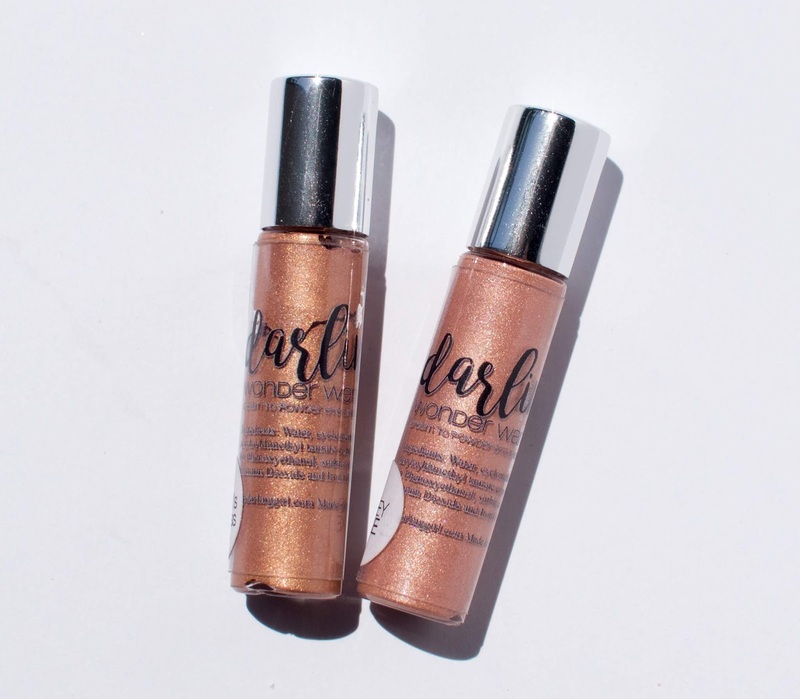 Details/Where to Purchase: These retail for $8.50 and contain between 3.3-3.4mL of product. You can only get this on Darling Girl's website. Packaging: These come in slim lipgloss style tubes with a doefoot applicator. These are very basic tubes, they do the job but are admittedly lackluster and not fancy. Darling Girl says: "Wonder Wand cream shadows are crease-resistant and once set are pretty budge proof! Use of your preferred eye shadow primer is still highly recommended. 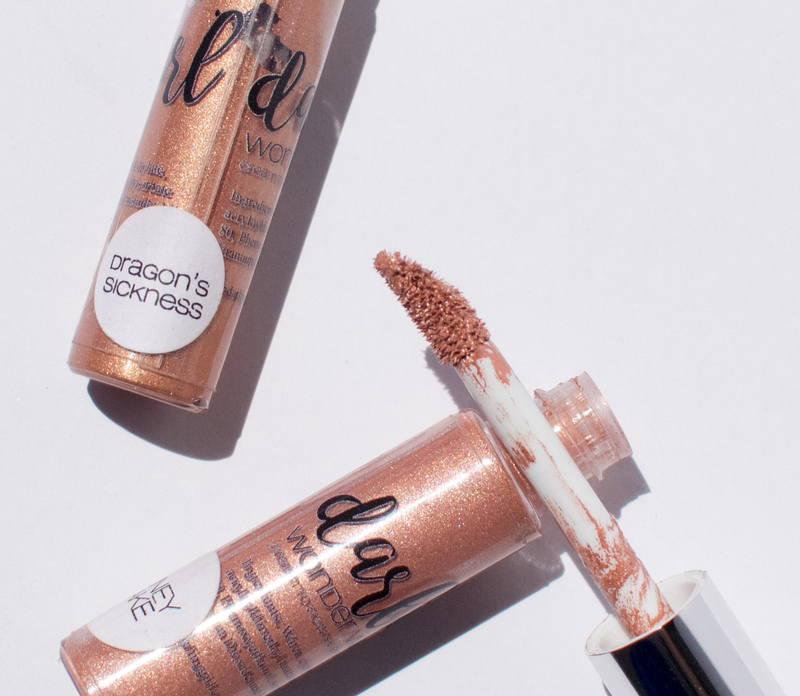 Some of these shades make wonder[ful] face highlighters as well." The eyeshadows have a creamy, slightly moussey consistency. They have buildable pigmentation and the formula builds well without bunching up or looking crepey. If you want to apply it sheerly, you can swipe it on. If you want to build pigmentation and get almost a metallic finish, do a combination of dabbing/swiping motions to apply. I preferred to dab it on with the doefoot applicator and use my fingers to blend it out though you can use a brush. These do dry down so it doesn't feel sticky or tacky on the lids and they're quite crease-resistant even on my oily eyelids. Ambient weather does play into the longevity; on days where it was more temperate, I was able to get 6 hours of wear without eyeshadow primer and 10 hours of wear with a primer before it started to crease. On the hotter days, I got about 5 hours without primer and about 8-9 hours with a primer before it started to crease. This is a pretty good cream eyeshadow formula, though I do think primer is a must if you have oily eyelids. 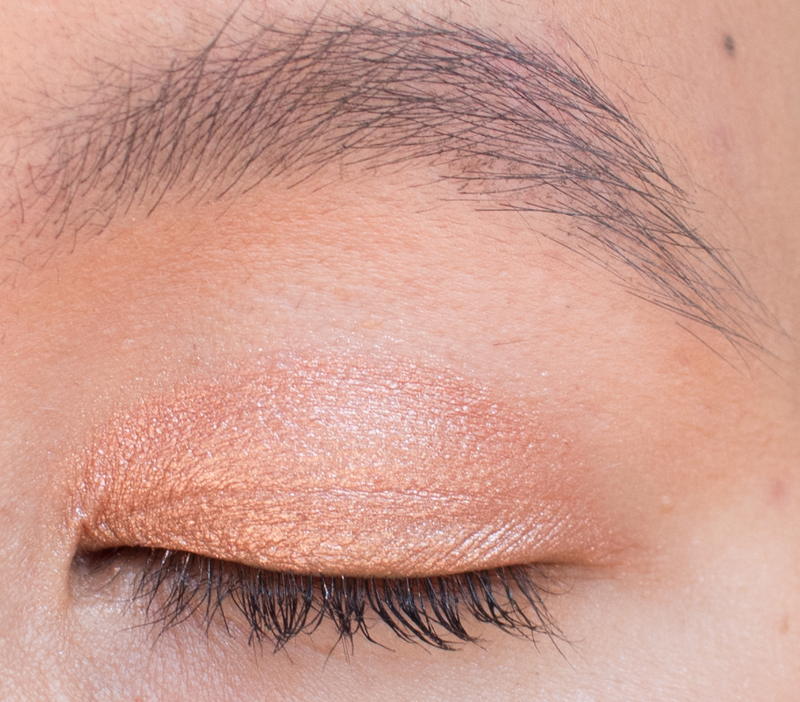 I think amongst mainstream brands it's not totally a standout product but I do feel like it's unique amongst indie cosmetics brands and there are some beautiful colors. Here are arm swatches of Dragon's Sickness and Honey Cake. Dragon's Sickness is described as a "bronzy gold", though I think it pulls more coppery/orangey than gold on me. It's way more orange than the swatch shows on the website. Not my favorite just cause I think it's super warm but it'll be a pretty color on other people. Honey Cake is described as a "metallic peachy gold". Honey Cake is a little more peachy than it appears on the website but it's still a beautiful color. The peach tones add warmth while not being too orangey. I definitely prefer this compared to Dragon's Sickness. If you like cream eyeshadows that have buildable pigmentation, you will probably like these eyeshadows. Just be sure to wear a little eyeshadow primer (I always do anyway). Do you prefer cream, liquid, or powder eyeshadows? Disclaimer: I purchased these products myself. All opinions are my own. I was not compensated by anyone for this post. These are so pretty! I love cream shadows, and will have to check these out! Thanks of the lovely swatches! Honey Cake is my favorite between the two. I love cream shadows and buy way too many. I like the look of Honey Cake even though in your side by side swatch they look similar. Both of these are absolutely gorgeous. However, like you I prefer Honey Cake. I'm only getting into cream eyeshadows. Both these are so wearable, though Honey Cake is a smidgen more up my alley. Thank you for commenting, I love reading every single comment and try to respond to each! Please do not leave your blog link or url in your comment. If you'd like me to check out your blog or if you have a question for me, feel free to contact me via my Contact Me tab. Welcome! My name is Mai. 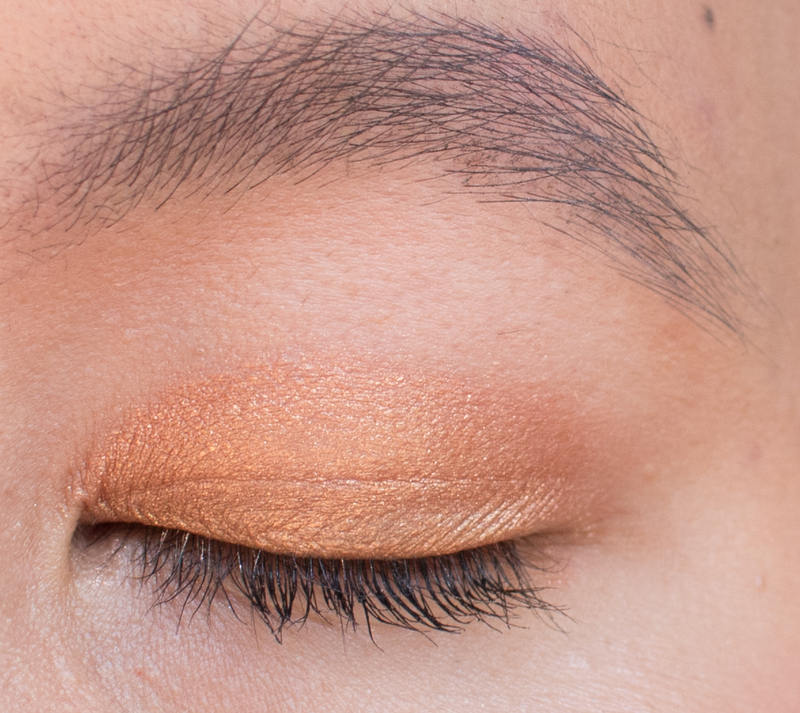 I am a Vietnamese Beauty Blogger located in Orange County/Los Angeles, CA. I feature reviews/swatches of cosmetics at all price points and post photos of my makeup looks. I hope you enjoy reading!